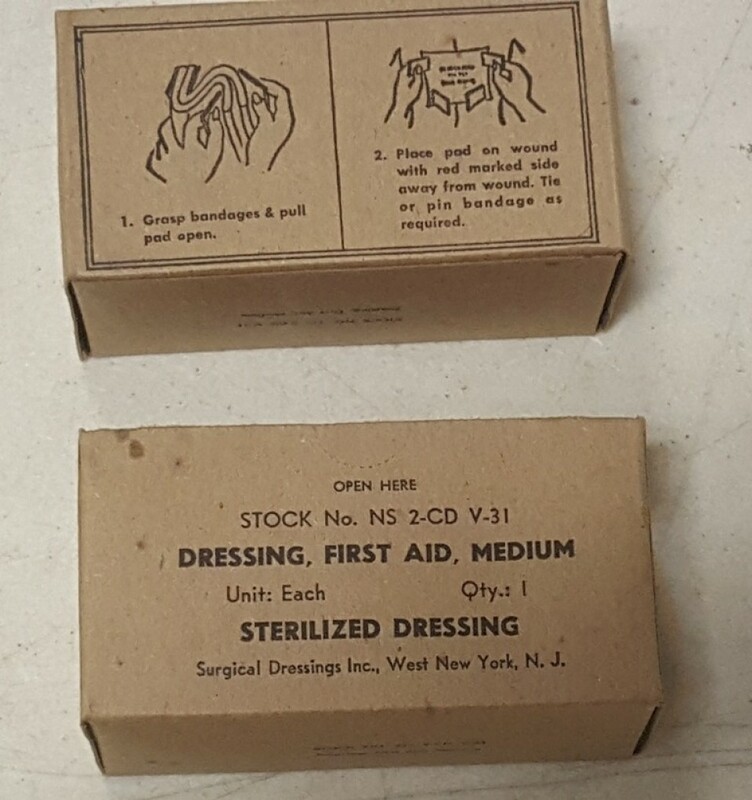 These are original, 1960's production 1st aid dressings / bandages. 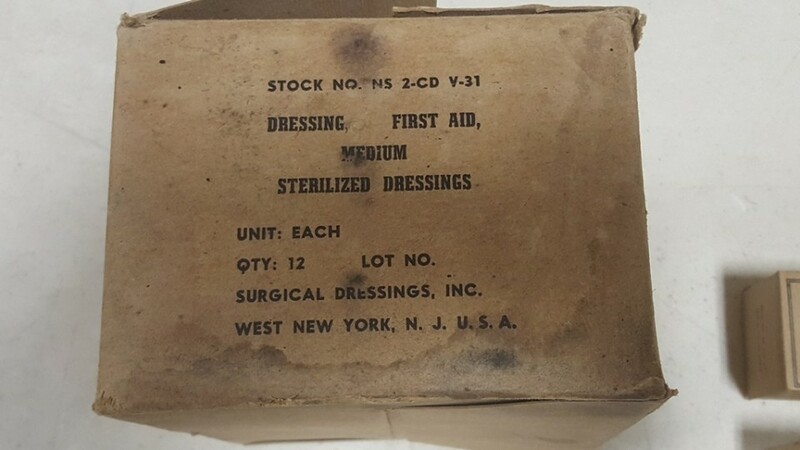 Bandage is in a clear plastic wrapper with an outer cardboard box. 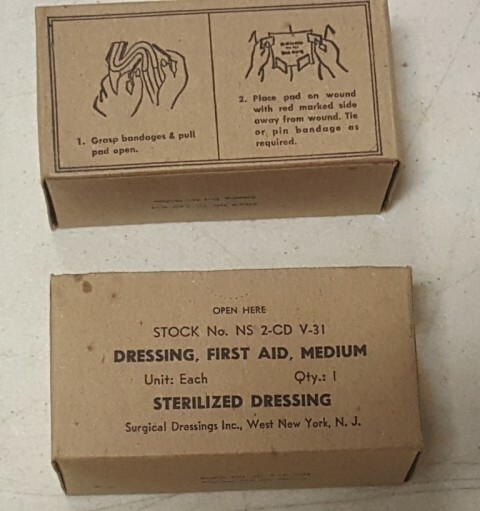 These are thicker than the standard size bandages carried in the M-56 Compass / 1st Aid Pouch. These would be perfect for a Medic Bag or Bandoleer style carry.